I like to use onion soup mix when I cook a roast, and I added it to my Slow Cooker Pepperoncini Beef for a bit of extra flavor. 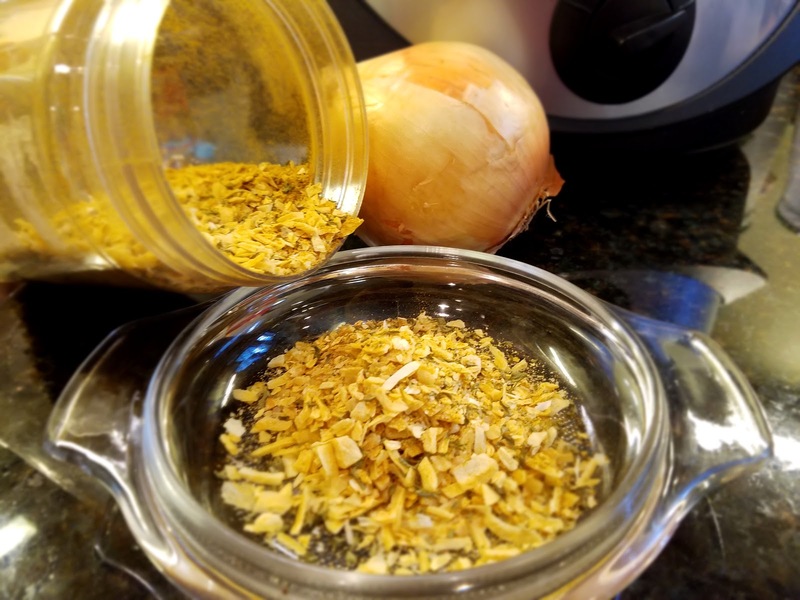 When talking to a friend about that beef recipe, I mentioned that I had made my own onion soup mix, and she asked if I could share the recipe. I had been meaning to post it so that I always have access to the recipe - I currently have it written on a piece of paper, but if the paper ever gets lost I might be in trouble. So, it's time to share the recipe, for me and for any of my friends who might want to mix some up for themselves. That's it. It's really simple and uses ingredients you probably already have in your spice cabinet. 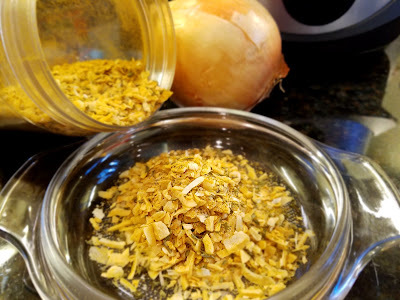 I did have to buy the minced onion because I was out, but that's a handy ingredient to have on hand so it was time to get some of that anyway. The original recipe listed turmeric as an optional ingredient, but I've started putting that in pretty much everything, even my morning coffee, so I consider it a necessary part of the recipe.